Two levels of parking garage with 133 spaces would be built, well above zoning requirements. 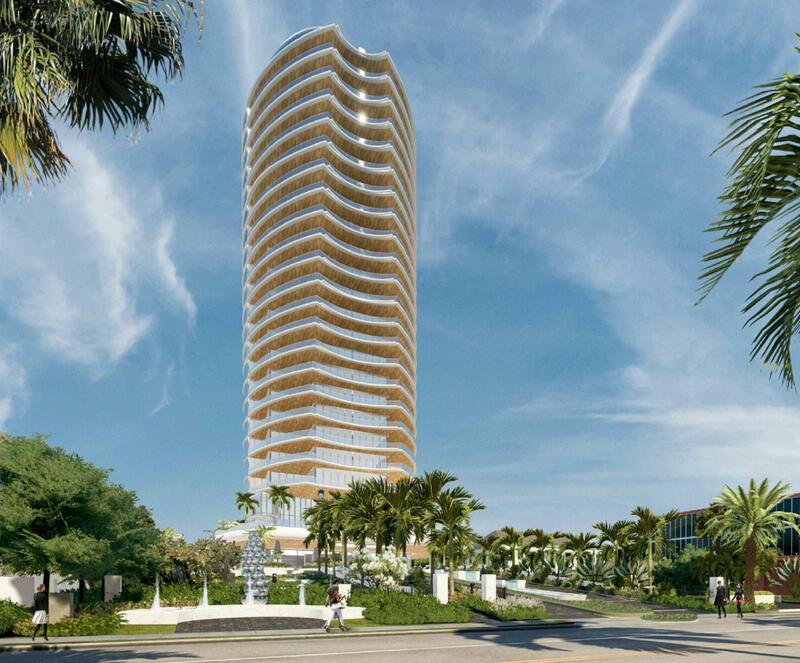 Arquitectonica, how can design something like this for West Palm Beach but in Miami you’re constantly designing the same ole wavy balcony look? This is dramatic? It looks Art Deco. Well they did design a monstrosity typical to their name called “One West Palm,” a project never intended to be realized by land banker Jeff Greene. ?? Regalia has wavy balconies, but Brickell City Center, SLSLux/Brickell Heights, the Federal Courthouse and a dozen others do not. Arquitectonica has a very large body of work. Not true. Check out Elysee. Wtf is a house car? Spare car for anyone in the house to use? Cars strictly for driving inside the house. Please, i beg you Palm Beach keep Arquitectonica there!!! Why are you reporting something that’s three to four years ago? Anyway, what does that matter anyway, Arquitectonica designed that hideous looking Skyrise tower. Do you know who is the developer? …and it’s better than most of what Arquitectonica has made in Miami within the last several years. 9 bike parking spaces. Pathetic. 133 spaces for 42 units? there should be parking maximums, not minimums. Its WPB. Move on parking police.